A sedentary lifestyle appears to be detrimental in the long-term. Incorporating standing, pacing and other forms of activity into your normal day—and standing at your desk for part of it is the easiest way of doing so. 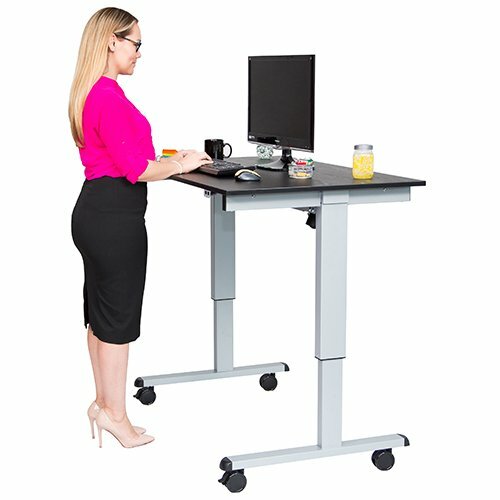 Smitsonian.com Our adjustable height Sit & Stand desks are an ergonomic solution to add energy to your working environment. Mobile and easily adjustable from sitting to standing. Our line of Sit to Stand desks encourage efficiency by letting you refresh your position in the office, classroom or training room. Improve employee health and wellness, with a full range of adjustment height, in a single office or in a collaborative group atmosphere.